TaylorMade's Original One Mini Driver hit the USGA's conforming list. Three years have elapsed since TaylorMade released the AeroBurner Mini Driver, a course-specific club designed for players that primarily hit 3-wood off the tee while seeking additional distance, workability and control. The taller-faced club came in at 260cc — roughly 100cc larger than the standard SLDR 3-wood — and enjoyed a brief run on tour before it was eventually phased out of most bags. With the spike in popularity of utility irons and strong-lofted fairway woods with larger profiles, there hasn’t been much of a need for the mini driver. But with TaylorMade celebrating its 40th anniversary this year, the equipment manufacturer appears set to roll out an updated version of the club called the “Original One Mini Driver.” The club officially landed on the USGA’s conforming list on Monday. A single black-and-white sole photo offers little in the way of specs and info. However, it’s clear from the image that TaylorMade plans to use a speed pocket to increase the size of the sweet spot for higher ball speeds and less spin. Two weights (no word if they’re removable) are located in the center section of the sole. The words “Pittsburgh Persimmon” are also displayed prominently on the sole, which is the nickname TaylorMade founder Gary Adams gave the first steel-headed driver. With 12 degrees of loft, it was the first metal driver used on the PGA Tour. 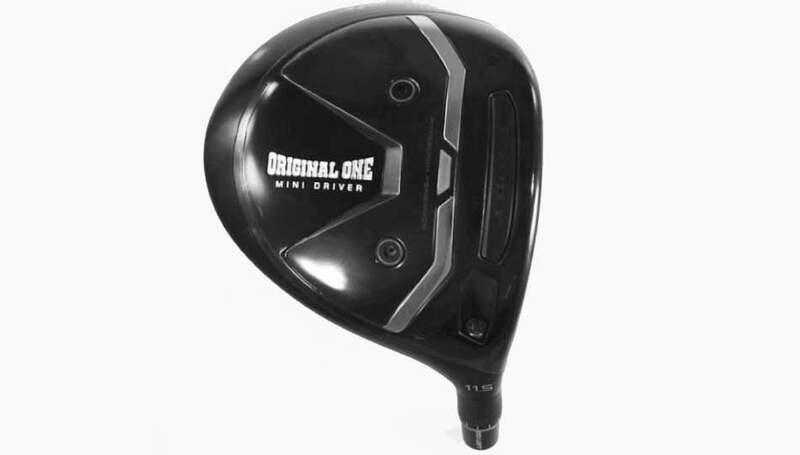 It’s possible the Original One Mini Driver could be an updated version of Adams’ iconic club.